If you’re building a deck in a high altitude setting like Colorado, you need to use materials that are adapted to the climatic conditions. Although wooden decking material deteriorates more quickly in areas of high UV radiation, it is possible to keep it in a great condition as long as it’s maintained properly. And if you’re looking for a more hands-off deck that doesn’t require a lot of maintenance under high UV exposure, there are options out there for you. In this blog, we’re going to talk about the effects of high altitude on your deck and how you can make things a little easier on yourself. Although many of us tend to think about cold weather and snow when we hear the words “high altitude,” the damaging effects of the sun tend to be a more important factor when it comes to decking. UV rays are more intense the higher you go in elevation, and four every thousand meters you gain in elevation, UV rays increase by ten percent. This means the higher in elevation you are, the more you’re going to have to look after your deck and make sure it is prepared to deal with the high intensity of UV rays. 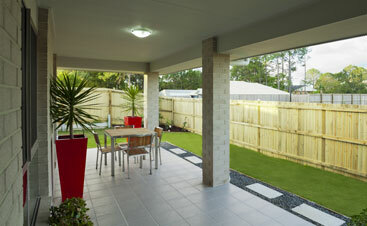 With a higher exposure to UV rays comes a higher rate of deterioration in your decking material. The UV rays will break down your decking material by weakening chemical bonds, and the rate of deterioration will only increase after being exposed to other elements like snow, rain, and the cold. Lignins are an organic polymer found in wood that an important part of maintaining the wood’s structure. After being exposed to intense UV radiation for long periods of time, these polymers are broken down leading to damaged wood. Another way UV radiation can damage your wooden decking material is through discoloration. With increased exposure to UV rays, your wooden deck will fade and will be discolored. Additionally, sealants, wood grays, and paint will fade and give out. In order to prevent your deck from fading and breaking down in high UV environments, you should first pick a decking material that is suited for these conditions. Whether you’re using wood or fully-capped composite, the way you will need to maintain your deck will be completely different. Naturally, preserving the fully-organic option will require more work on your part and can lead to your deck being damaged if it’s not done properly. 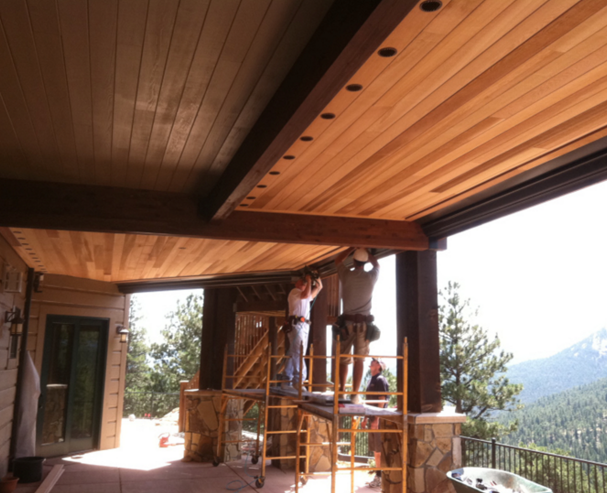 With wood decking material, it’s a matter of choosing a good stain and sealer for the altitude. 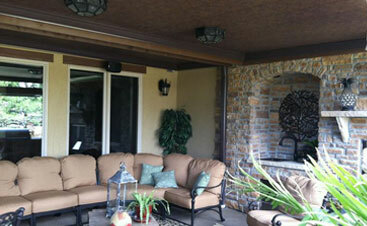 -Using an opaque finish is your best bet for protecting organic decking material. This will prevent the majority of UV rays from reaching the wood, and although the finish itself will fade, it can be reapplied. Depending on which type of stain you’re using (oil-based or water-based), will determine how often it should be reapplied. 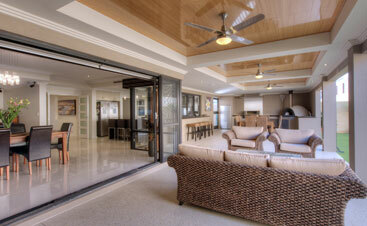 Although water-based finishes will cost less initially, they will need to be applied more frequently. -If you’re someone who wants to show off your wood’s natural appearance rather than a finish, transparent finishes are your best option. Although this won’t have very good protection compared to an opaque finish, you may be able to use a finish with a small amount of pigment, but it will need to be applied more often. Unlike wood decks where you need to constantly apply finishes in order to maintain your deck’s health and appearance, protecting composite decks is a matter of picking a durable composite material that’s designed to handle high altitude environments and sun exposure, while also being good in wet conditions. -Fully-capped composite decking material has proven to be one of the most important advancements in composite decking material for people with decks in high-altitude areas. The capping material that coats the board keeps the core safe from the weather and climate conditions while also preventing swelling and warping. 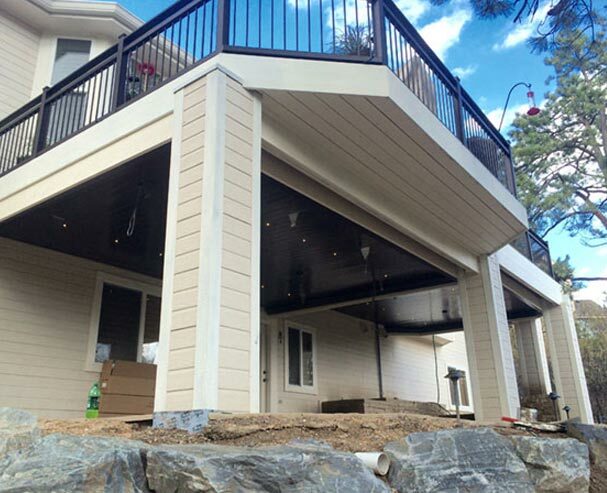 Although composite decks haven’t always been a great option for high-altitude areas, with improvements in resistant materials and techniques used when making them, composite decking has become a great option for anyone in this situation. Wood decking material can be a great option too if you’re willing to use opaque stains and commit to maintaining it regularly.If you’re getting ready to build an elevated deck in Colorado, you’re going to need to protect the area underneath your deck from the elements. 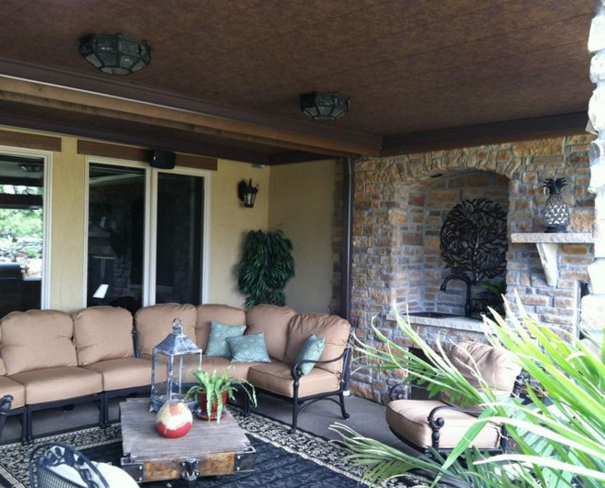 At Colorado Deck Drain Experts, we’ll set up your Dry-B-Lo deck drain system so that you have more room to enjoy your outdoor living space. Contact us today to learn more about the services we offer throughout the Front Range.